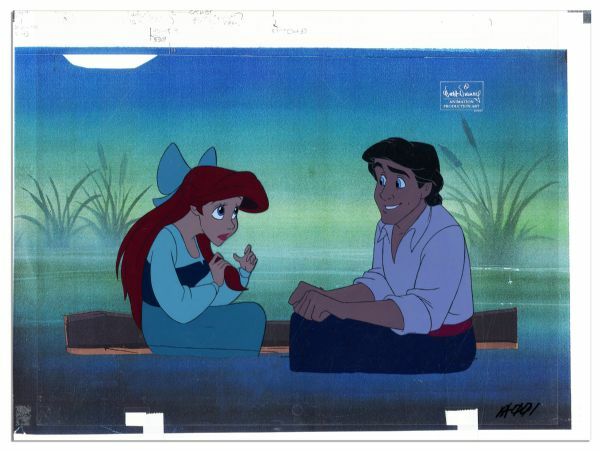 Original animation cel from Disney's hit 1989 feature ''The Little Mermaid.'' This cel was part of the ''Kiss the Girl'' sequence, in which Ariel is temporarily transformed from mermaid to human so she can date the Prince. 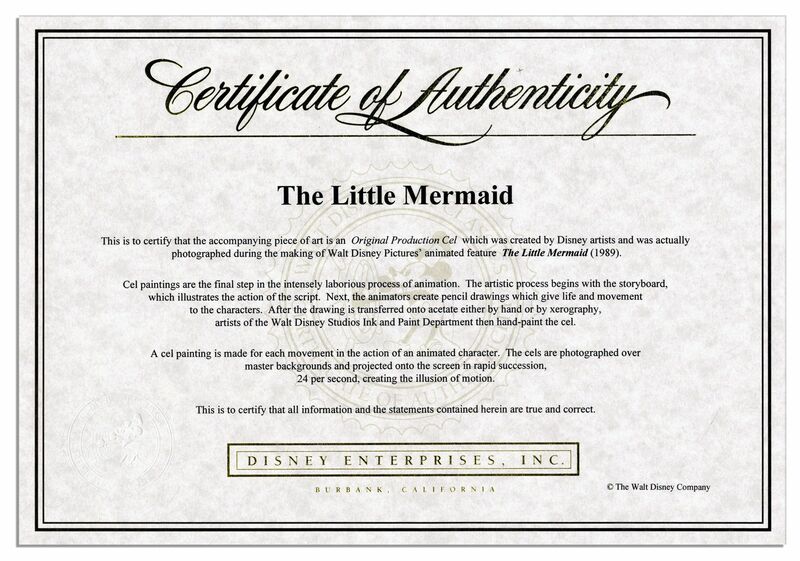 ''The Little Mermaid'' was the last Disney feature to use hand-painted animation cels. A silver label printed on the upper right identifies this piece as ''Walt Disney / Animation Production Art''. Measures 14.5'' x 11''. Peg holes and numbers at bottom edge. 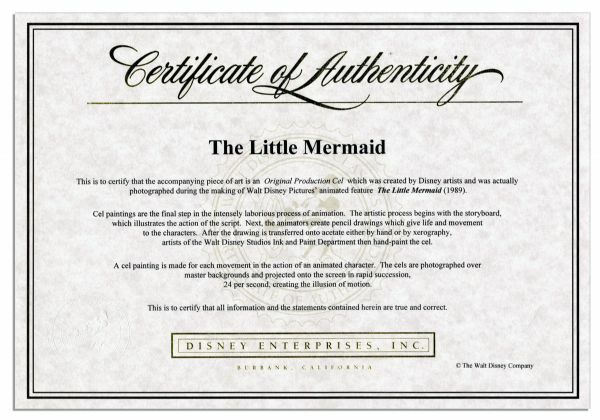 A Walt Disney Company COA is included. An enchanting piece from a beloved classic and the last in its era of Disney animation. Auction closed on Thursday, August 30, 2012.